When planning a wedding, the details matter. One very important detail is lighting... and we're not talking about disco balls. 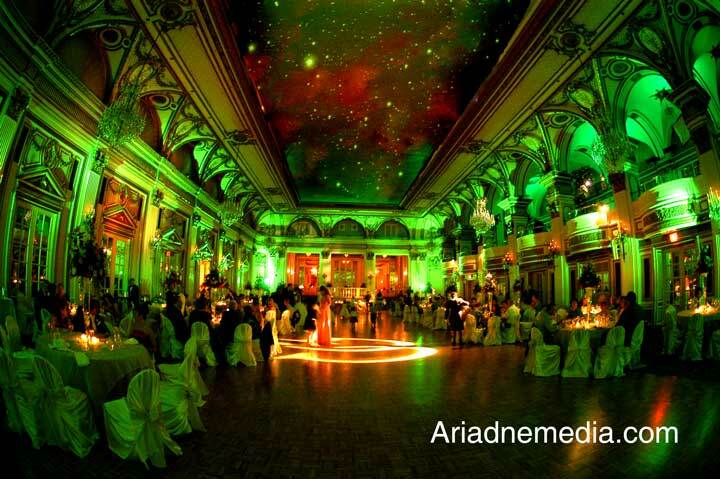 Most of the time, lighting isn't something you can really control, as most venues come equipped with their own form of lighting. Nonetheless, you can still add in your own touches to create a romantic or dramatic atmosphere, and create the wedding of your dreams. For a dramatic look, add in some ambient lighting. Use colors that fit your theme to highlight certain areas. For instance, you may want to emphasize the dance floor or the bridal party's table, or dim the lighting after dinner to create a club atmosphere. Change in lighting can make a huge difference, so don't be afraid to experiment! Outdoor weddings usually involve tents of some kind. While tents are very practical, they can be an eyesore. That's why you should dress up your ceiling with twinkle lights. 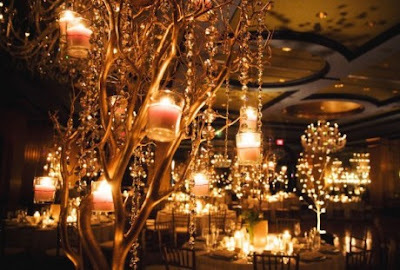 Depending on how many lights you use, it really doesn't "light up" the space, but it does create a soft glow that is very romantic. 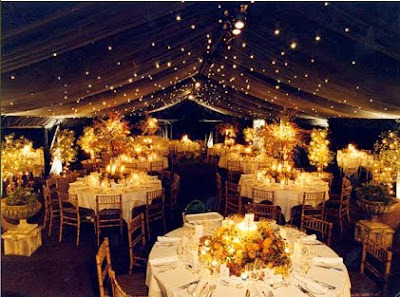 We especially love the image above, as the dark tent with the twinkle lights creates a starry night sky, which is perfect for an outdoor wedding. 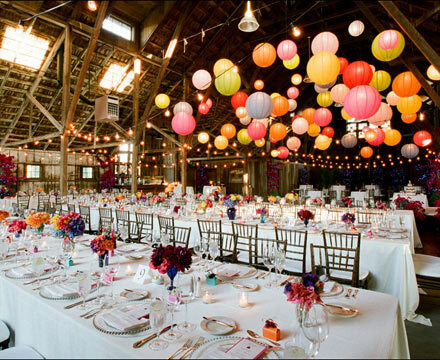 Whether your wedding is indoors or outdoors, paper lanterns are both functional and lovely. They can light up an event, act as decor, or both! 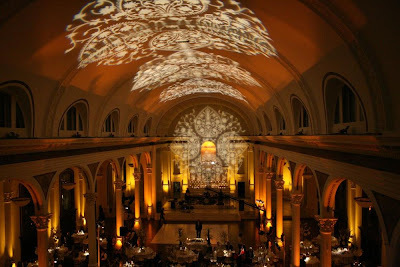 You can fill the ceiling with them, create patterns, or arrange them haphazardly across the ceiling. You can always opt for a simple creme color, or throw in your wedding colors as well to create a fun and vibrant atmosphere. We always talk about candles and how they can both decorate and light up a space. These tree tea candles are a wonderful way to create a centerpiece and add some mood lighting. The space looks lovely and magical, plus you'll save money on flowers!